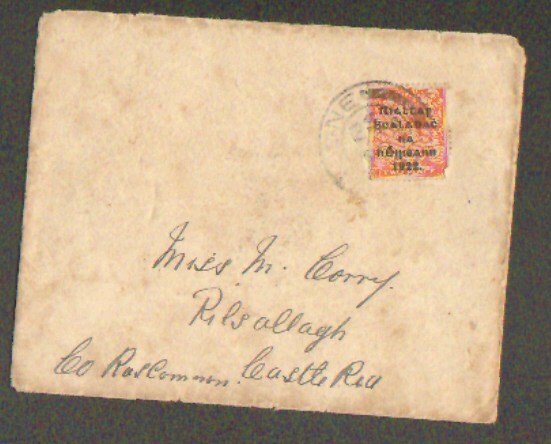 Regular readers will remember the chance discovery of Frank Cunnane’s letter on the eve of his execution in 1923 behind a dresser in a cottage in Headford. 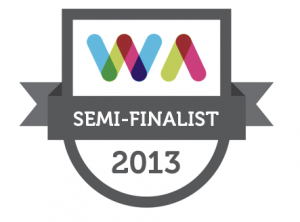 The posting of that letter has instigated a very rewarding section of this blog. We’ve received photos, mass cards and letters from the period and have been very happy to facilitate the conversation which has arisen. 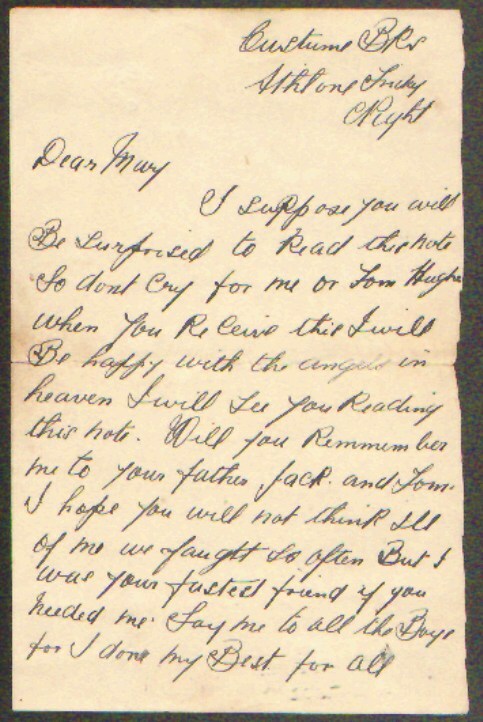 Recently Gerard Corry got in touch and forwarded a copy of a letter which was written on the Friday night of the 19th January 1923 and posted to his aunt Mary. The letter was written by one of the 11 men executed in January 1923 – Michael (M.J.) Burke from Caherlistrane, Co. Galway. The other Anti-Treaty prisoners executed in Athlone were Thomas Hughes (Athlone), who is referred to in the letter below; Stephen Joyce (Derrymore, Caherlistrane, Co. Galway); Herbert Collins and Michael Walsh (from Derrymore, Caherlistrane, Co. Galway). 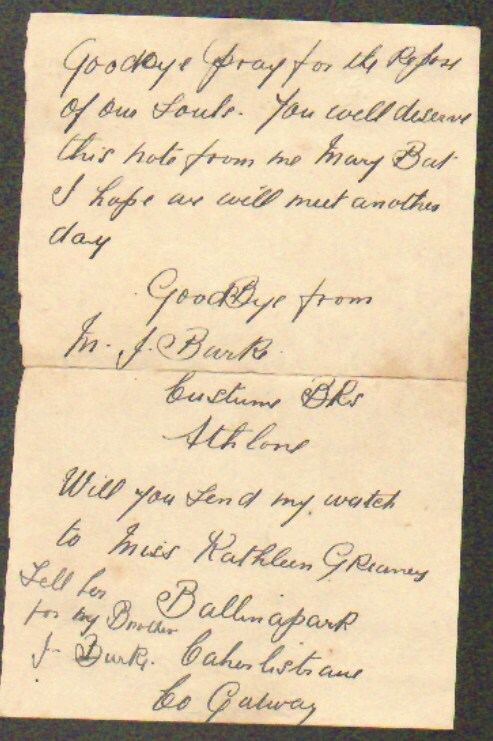 We’ve published a letter from Michael Burke previously -that one to his cousin Kathleen Greaney in Headford, also referred to in the letter below (Michael asks that Mary forward his watch to her). We’re delighted to be able to post the letter below and hope that by posting it we can continue to do some justice to the sacrifice these men made. The Jack and Tom referred to are Gerard’s uncle and father respectively. The scanned original below is followed by a transcript. 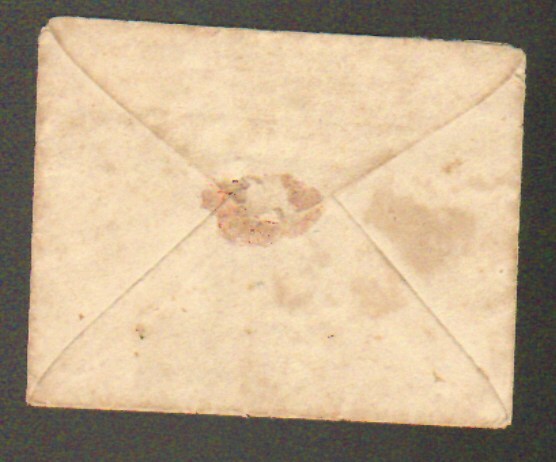 We’ve also posted an image of the envelope with its unusual stamp (perhaps some kindly philatelist will let us know more about the stamp?). Tell her for my Brother J Burke. This entry was posted on Wednesday, May 27th, 2015 at 9:14 am. It is filed under History, The Irish at War, Virtual Museum and tagged with Executions, Irish Civil War, letters, Martin Burke. You can follow any responses to this entry through the RSS 2.0 feed.